Former President Olusegun Obasanjo today congratulated the Ekiti State Governor– elect, Dr. Kayode Fayemi, on his victory at the Saturday Governorship election in the State, saying he “deserved to savour” his victory. The ex – President also stated that Ekiti people have by their conduct, demonstrated that they cherish Fayemi and would do their utmost to make him succeed. He urged him to reciprocate the trust of the people. Senate President, Abubakar Bukola Saraki, also congratulated the Governor-elect on his victory in the just-concluded election. 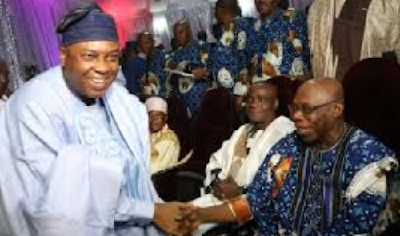 Saraki, in a statement signed by his Special Adviser on Media and Publicity, Yusuph Olaniyonu, stated that the Governor-elect of Ekiti State should use his second-coming to continue the people-centered policies and programmes of his first term, while urging him to also work to grow the State’s economy in order to leave behind a sustainable legacy. He said the victory was a sign that the people of Ekiti State still have confidence in the former minister’s ability to provide good governance and render efficient service to the state and its people.